The MOST EXCITING LCP Video News In Years! 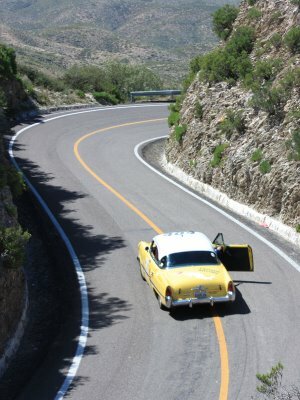 Yes I am excited. 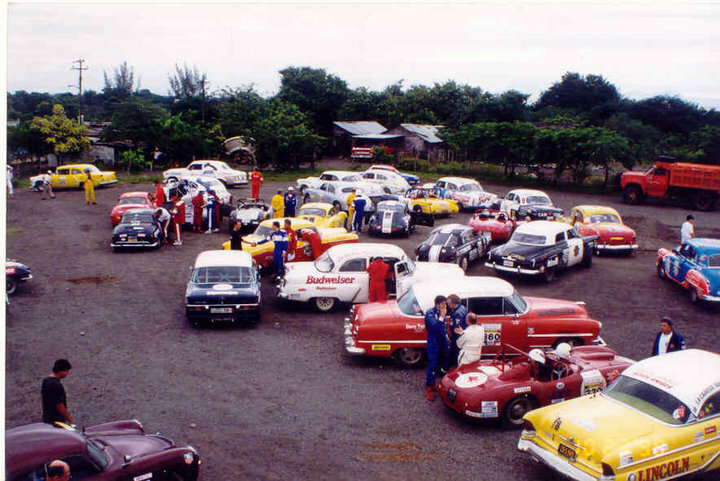 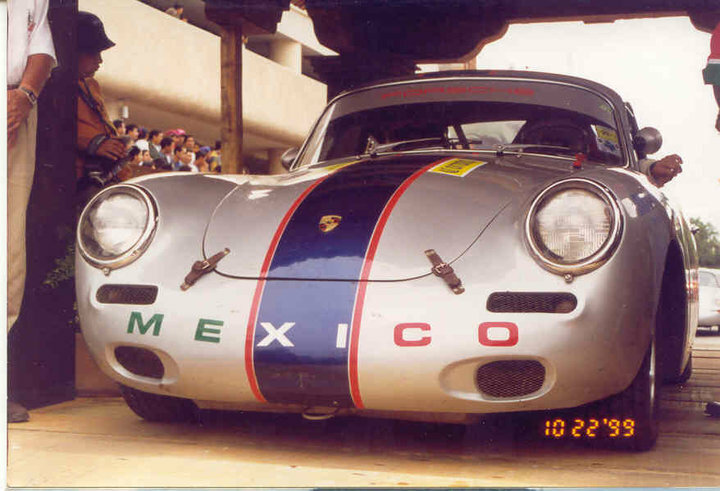 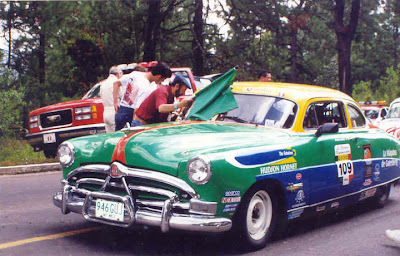 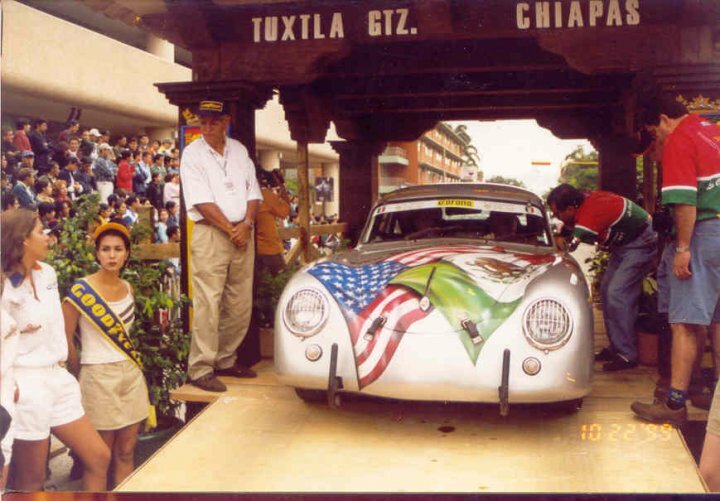 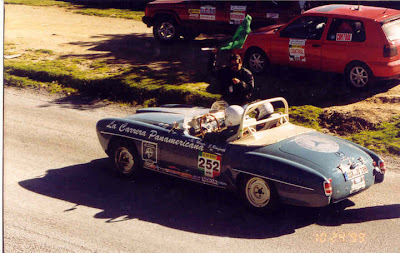 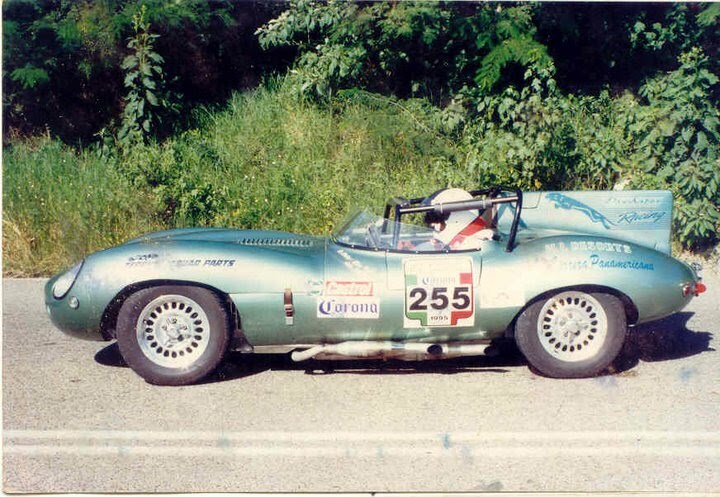 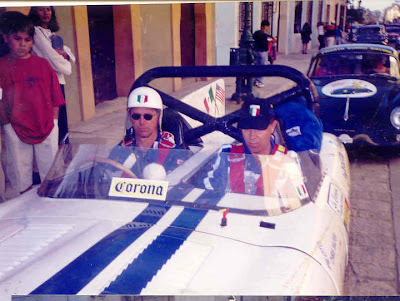 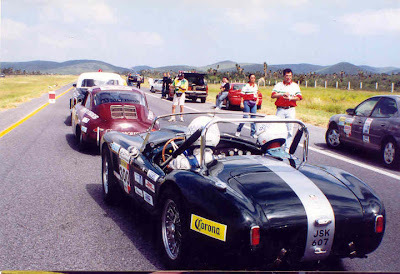 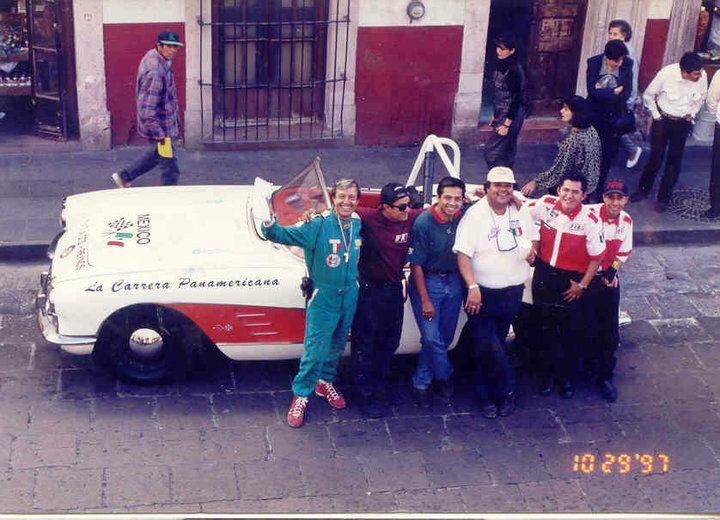 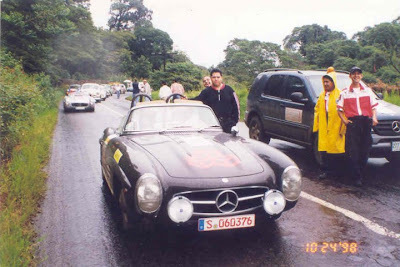 A while back I was privileged to be allowed to post some never before seen photos of the 1954 La Carrera Panamericana. 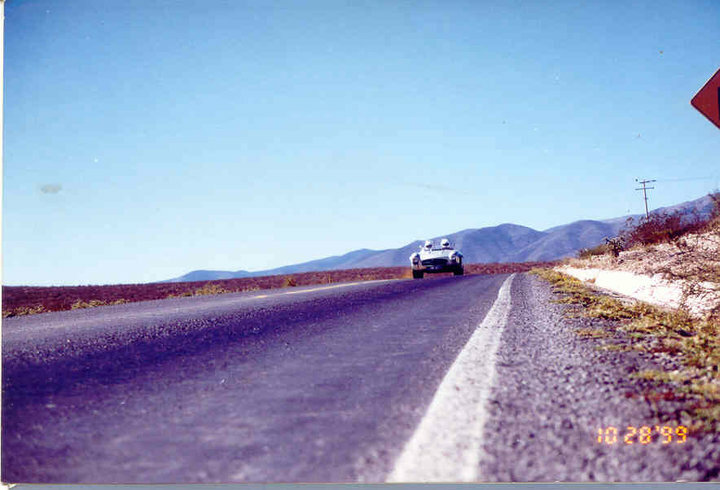 These original slides were taken by Ina Mae Overman, and Stanley Dean Miller. 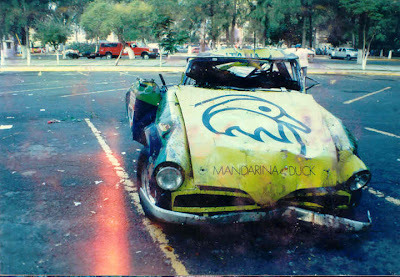 But now things are getting even better. 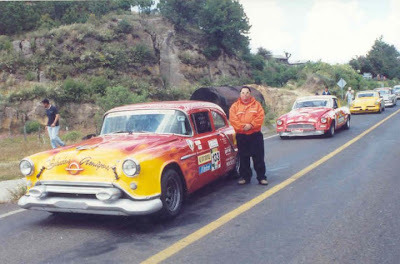 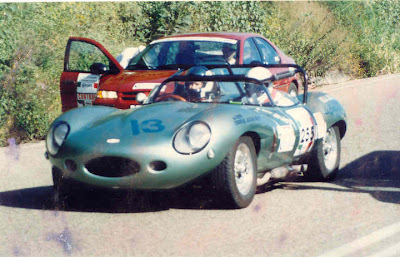 Ina Mae Overman and her daughter, Mary Ellen, has given me permission to share the following never before seen movies which they took during the 1954 La Carrera Panamericana. 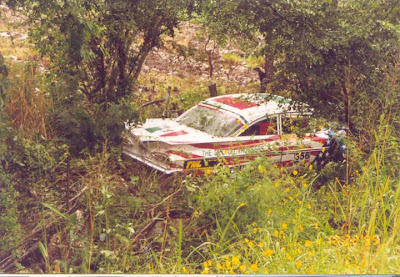 Regretably there is no sound so forgive the music I added but believe me in now way will it take anything away from this visit back in time. Originally, Ina Mae Overman and Stanley Dean Miller were going to be the support team for AK Miller and also take AK's spare tires down to Mexico for him. They were well prepared for the adventure and used Ina Mae Overman's beautiful little 53 Ford pickup all set up complete with logos on it which inadvertently helped them deal with logistics not at all like the service teams of today. 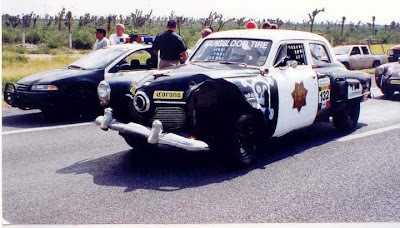 Eventually the Lincoln team took the tires for AK Miller which gave Ina Mae Overman and Stanley Dean Miller plenty of time to shoot this awesome footage. 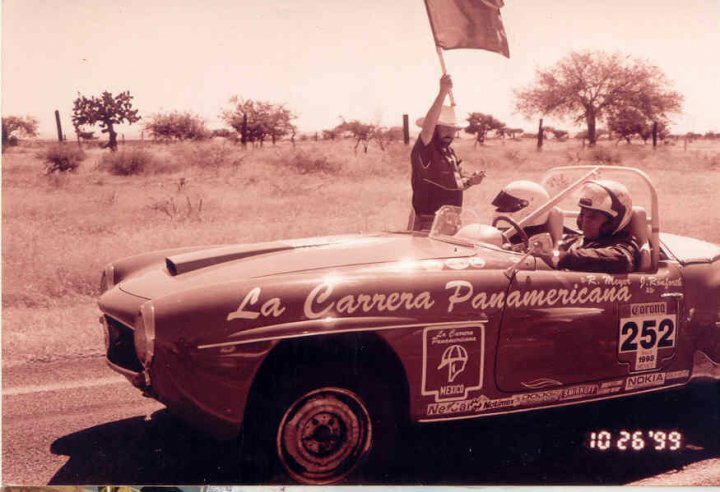 Anyone that knows anything about La Carrera Panamericana will surely enjoy this incredible peek back in time at some of the most exciting and historically significant racing footage in existence. 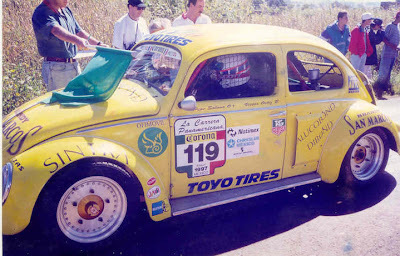 You will see never before seen footage of AK Miller, Phil Hill, Mickey Thompson, many of the big name factory teams from all over the world including the Volkswagen team, and so much more. 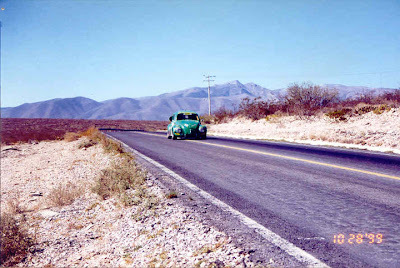 But also this film gives a good look at the lifestyle of many of the Mexican citizens in a natural setting. 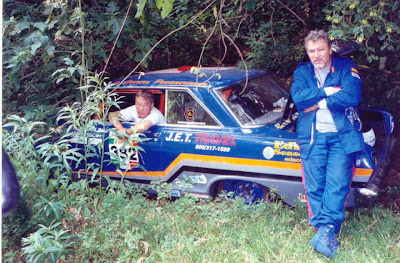 Please enjoy this video and a very special thanks to Mary Ellen and to the Overman Family collection by Ina Mae Overman for sharing them. 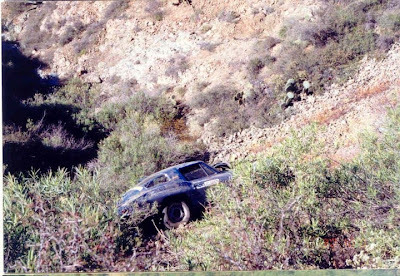 NOTE: After starting video click on 4 arrows in lower right hand corner for full screen. 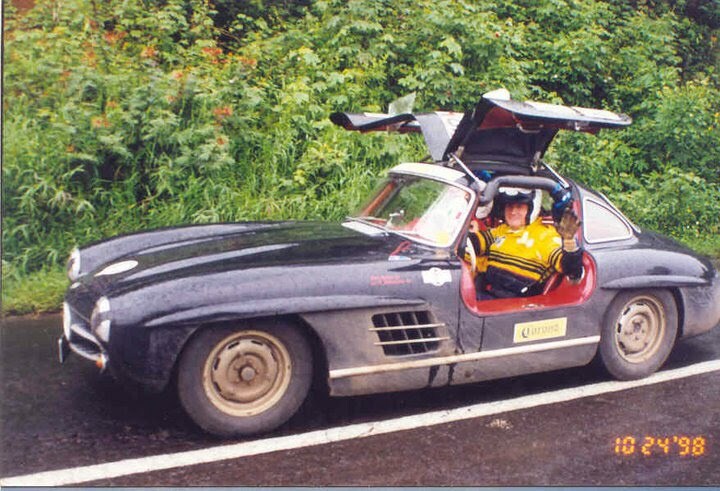 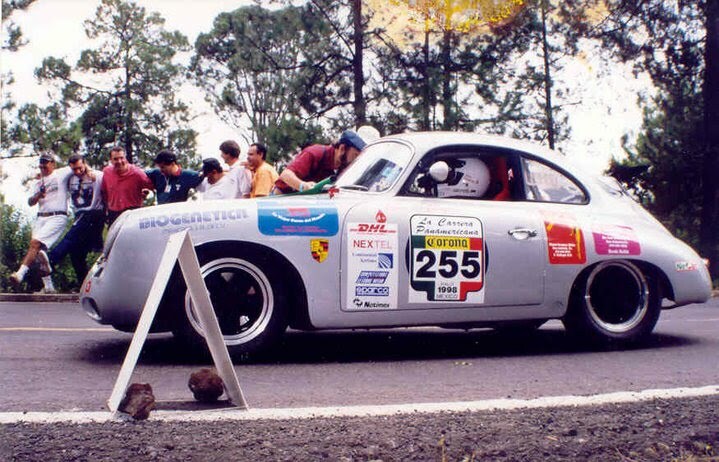 1954 La Carrera Panamericana from Gary on Vimeo. 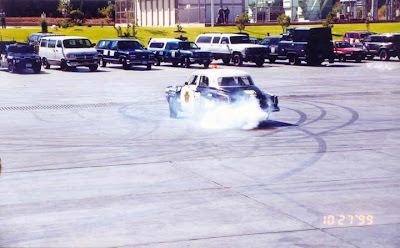 braking that was caught on film. 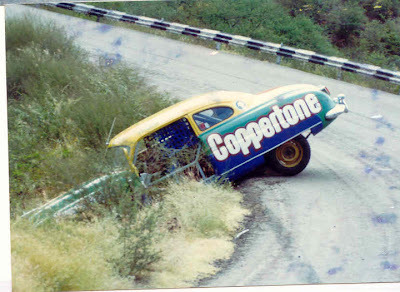 1) Checking to see if we remembered to take the skirts off. 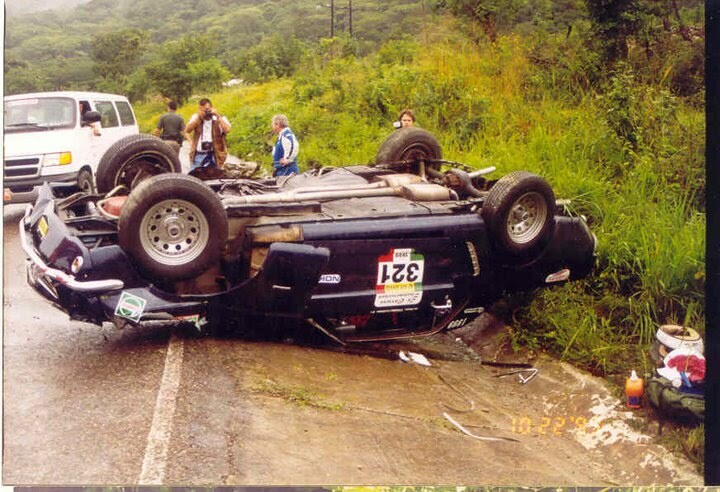 2) We were confirming what type of road-kill we just created. 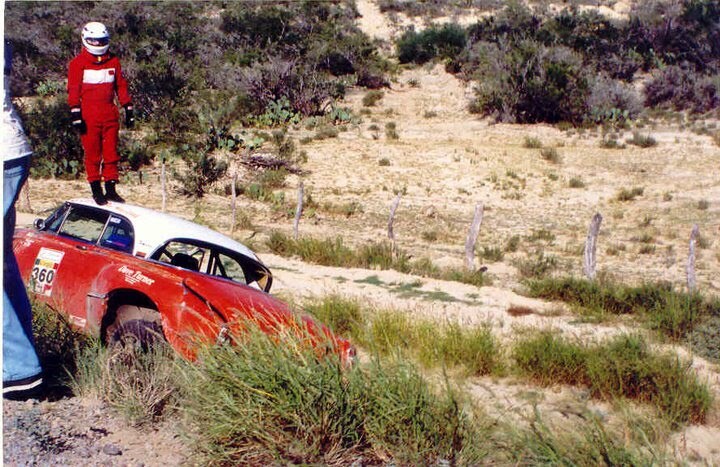 3) We were checking out our cool shadow. 4) We were settling the bet "Do we have curb feelers? 5) The door was open to extend Derek's right foot to help "Fred Flinstone" us up the hill. 7) We were dumping the melted ice out of the ice chest. 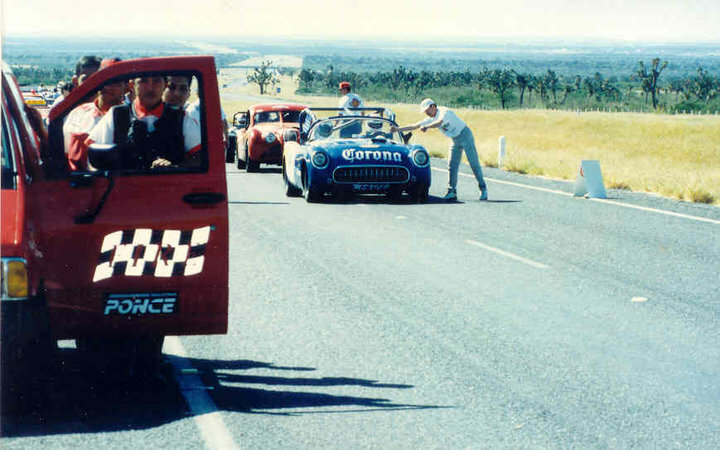 "If you you're going to get sick, please open the door!" We can't wait for the race. 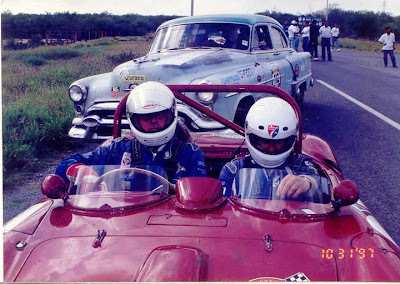 Brad & Derek and the whole Trojan Racing Team. 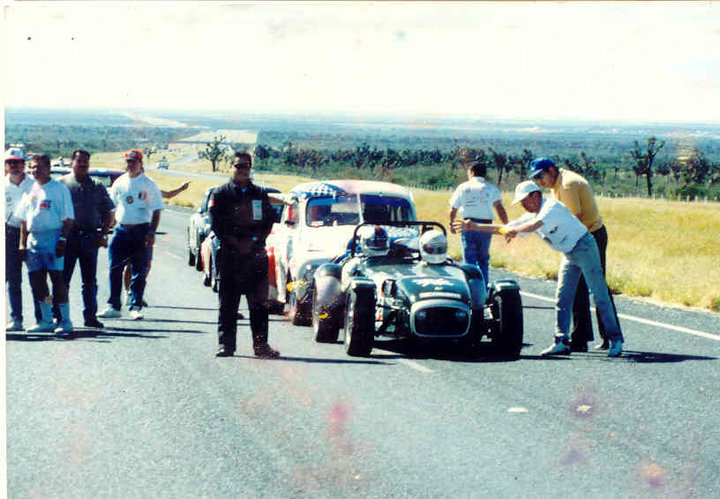 teams rolling often goes unnoticed hardly ever thanked. 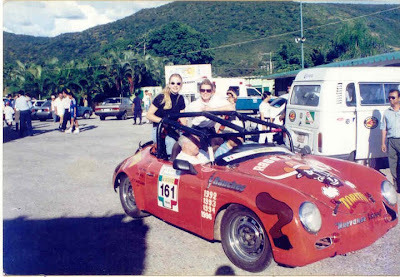 THANK YOU Gerie!! 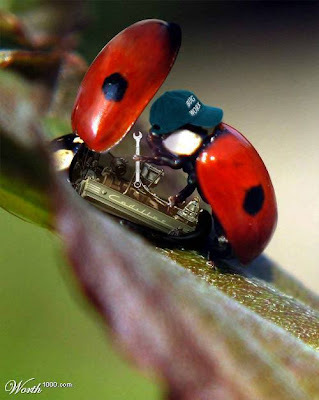 Ever wonder why some bugs are faster than others? In 2009 I posted the following photo showing Brad Kaplans #404 car with the co-piloto's passangers door open as they are coming into a corner. In fact this was a common practice to help slow the car on hard braking as well as save brakes way back in the early days of La Carrera Panamericana. 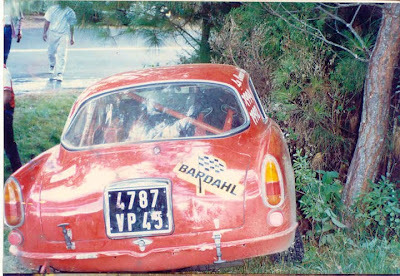 Does anyone know if Brad and his co-piloto were using the old method of using the door to help brake? Or was the latch broken? ;) Brad??? 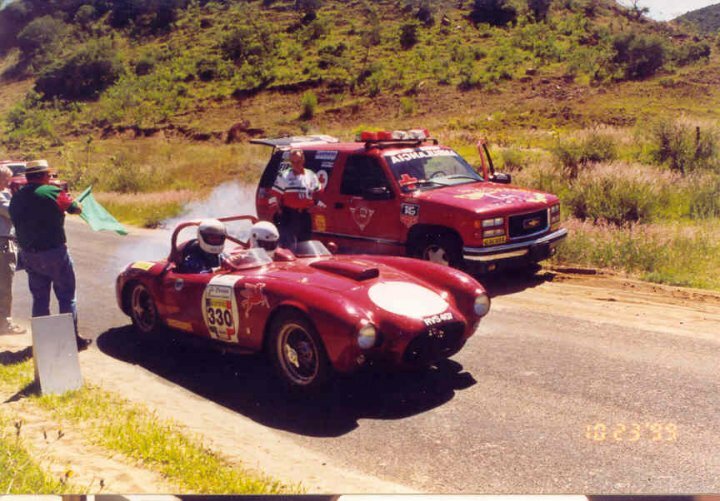 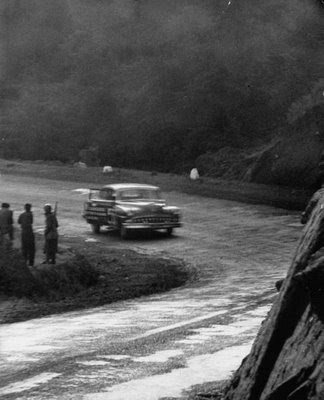 This picture was taken during the 1954 La Carrera Panamericanae and same as the photo above you can see the co-pilot is opening the car door to help bank the care around the steep curve past the guarding soldiers. 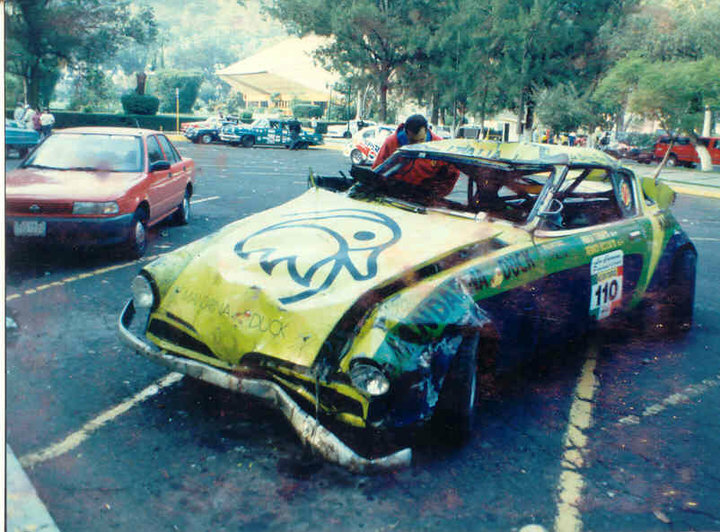 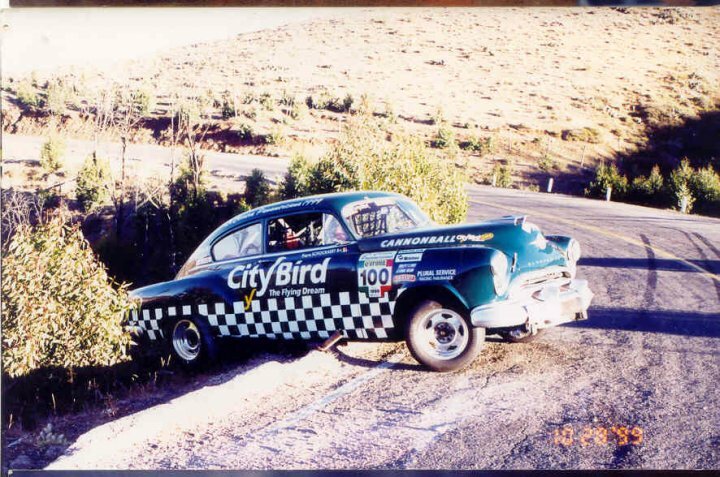 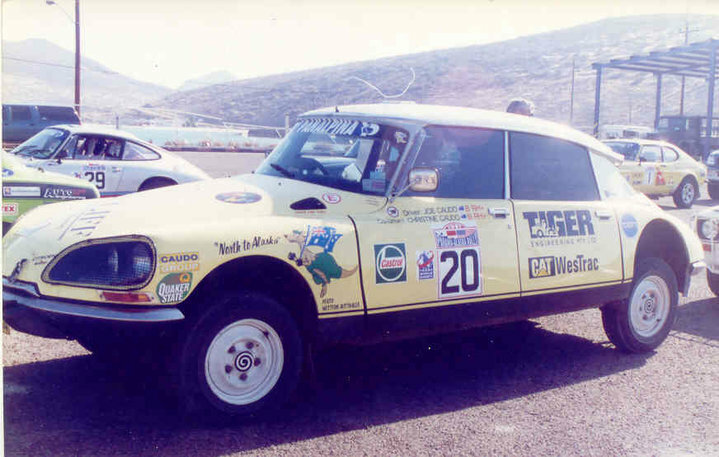 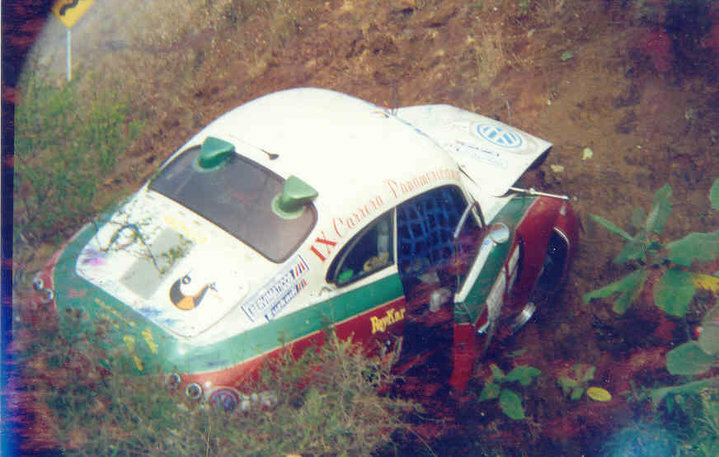 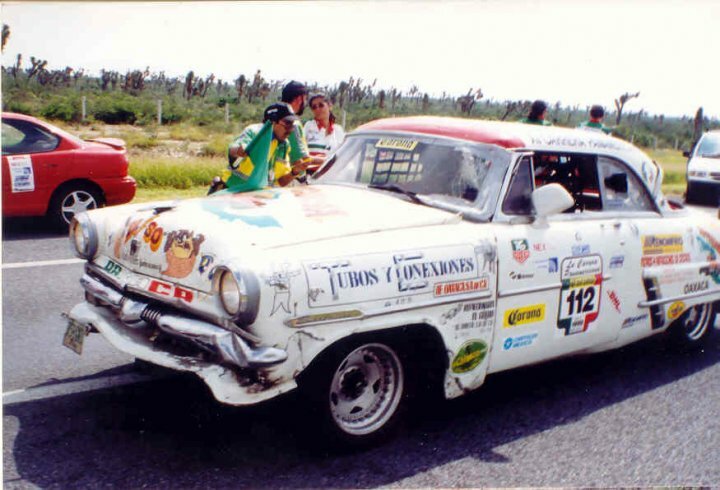 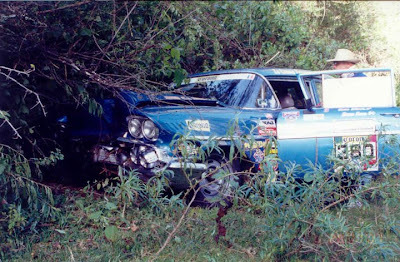 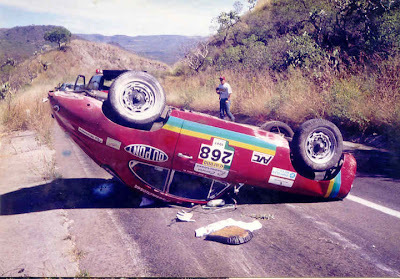 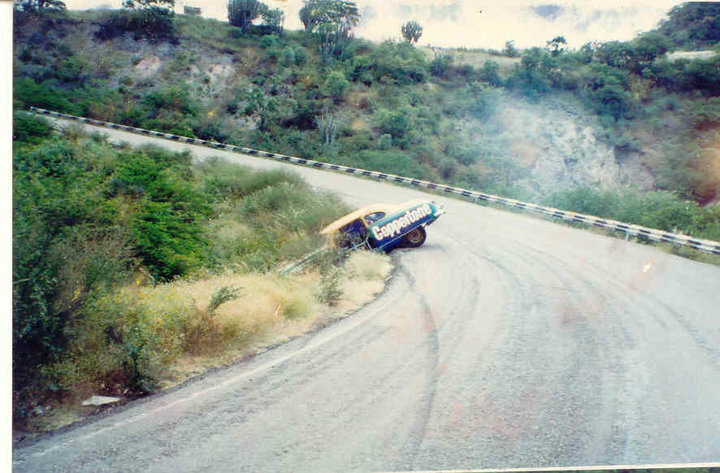 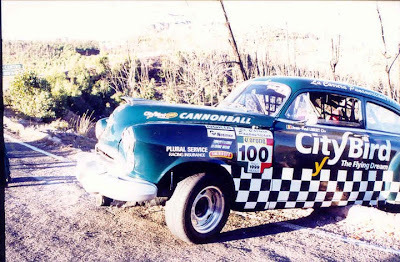 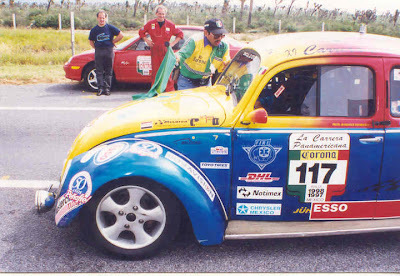 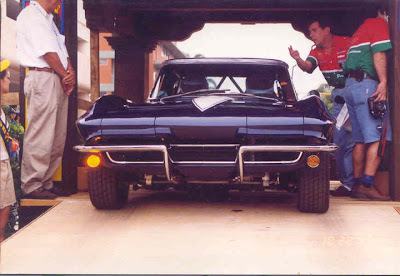 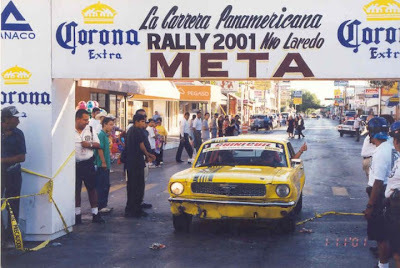 This is a photo of Roberto Belmar's DeSoto who finished 14th overall in the big block stock class, certainly would have finished much higher if not for brake trouble like this: Belmar takes a corner at speed about 10 miles from Juarez as his co-pilot braces door open with his feet to create resistance. 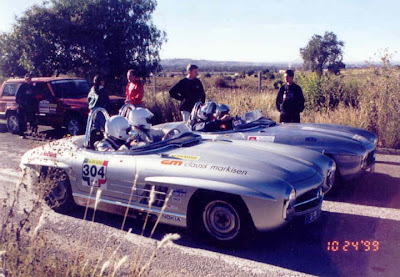 A special thank you to my friend Lars Kroiss from Salzburg, Austria also a La Carrera veteran who sent me this awesome video about the new Mercedes SLS AMG. 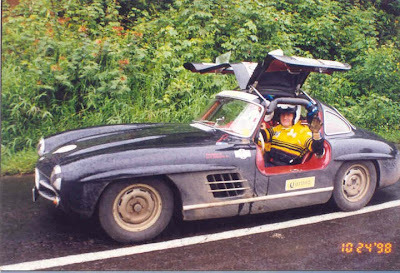 Don't be fooled when you begin watching as it starts out with a shortened version of Schuhmacher driving the new Gullwing over the roof of a tunnel which most of you have already seen. 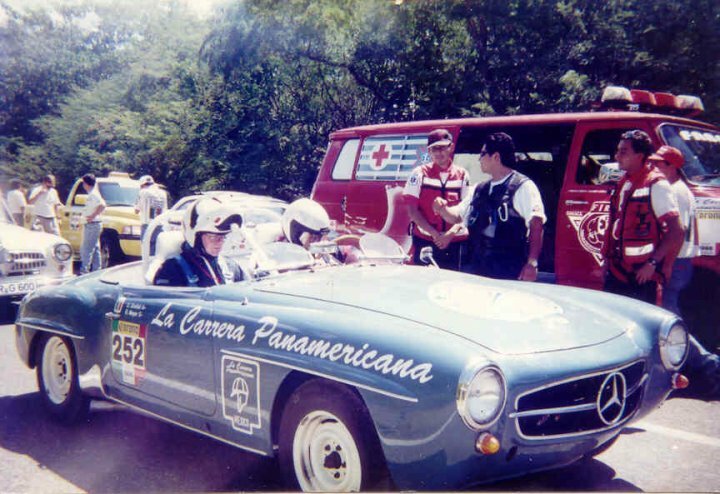 Then there is a Mercedes piece about their new Hybrid driven in New York. But stay tuned because the good part is the 3rd article about the Gullwings in Mexico complete with some awesome film footage from back in the day. Without the intent of sensationalizing a tragedy the sole purpose of this article is to show just how well respected La Carerra Panamericana is even by some of the greatest names in racing. So much so that as in this case nothing would stop this man from competing in it again and again. Gods Speed Clay. 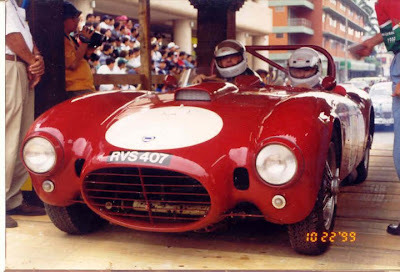 One of the world's most famous race car drivers, Gianclaudio Giuseppe "Clay" Regazzoni (September 5, 1939 – December 15, 2006) was an Italian speaking Swiss racing car driver. He competed in Formula One races from 1970 to 1980, winning five Grands Prix. 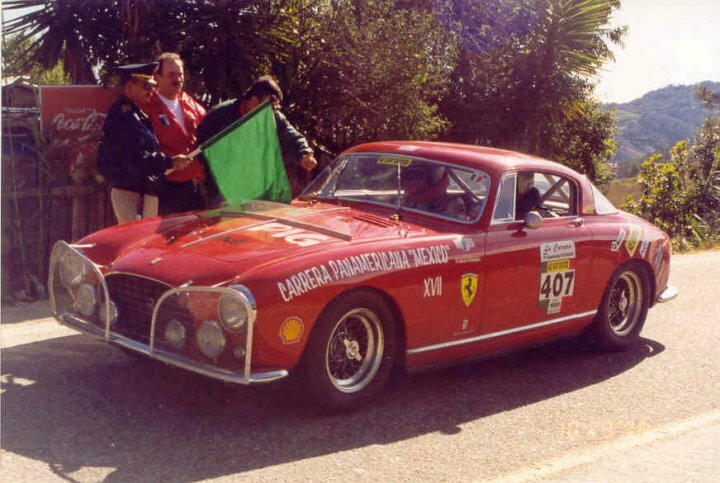 His first win was the Italian Grand Prix at Monza in his debut season, driving for Ferrari. 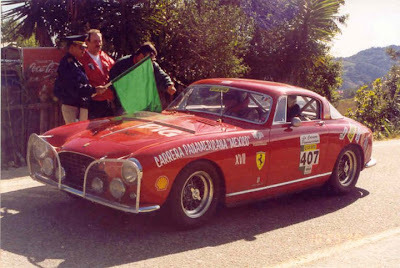 He remained with the Italian team until 1972. After a single season with British Racing Motors Regazzoni returned to Ferrari for a further three years, 1974 to 1976. 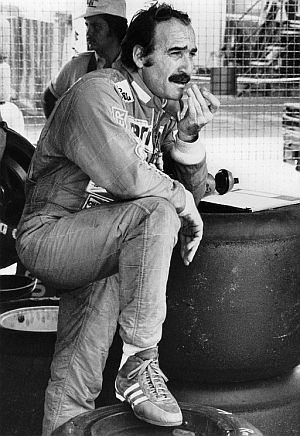 After finally leaving Ferrari at the end of 1976, Regazzoni joined the Ensign and Shadow teams, before moving to Williams in 1979, where he took the British team's first ever Grand Prix victory, the 1979 British Grand Prix at Silverstone. 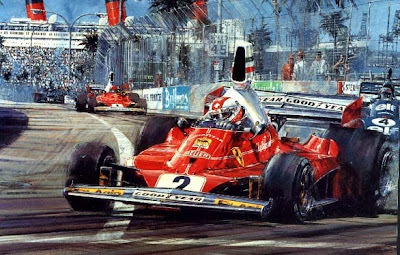 This painting, signed by Jackie Steward, Ken Tyrell and Derek Gardner was from his 1980 accident when he crashed during the 1980 United States Grand Prix West, held at Long Beach after the brake pedal of his Ensign failed at the end of a long, high-speed straight travelling at approximately 174 miles per hour. 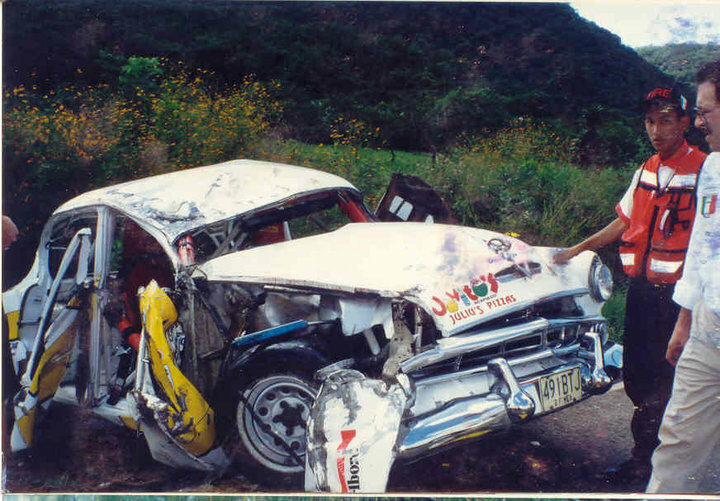 The crash left Regazzoni paralyzed from the waist down, ending his competitive career. 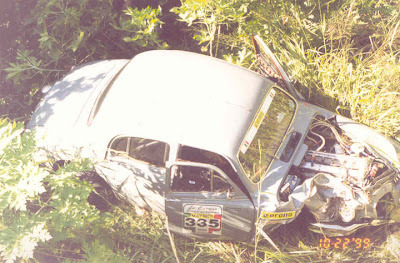 After this accident, Regazzoni became known for his activities in helping disabled people get equal opportunities in life and society. 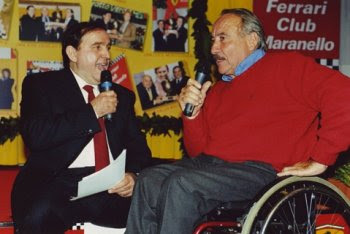 Despite his disability, Regazzoni was determined to live as full a life as possible and his rehabilitation became an inspirational story. 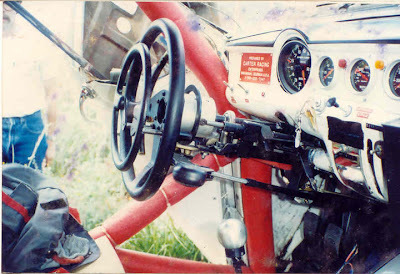 Later on he won back his racing license and became one of the first disabled persons to participate in high-level motor sports. 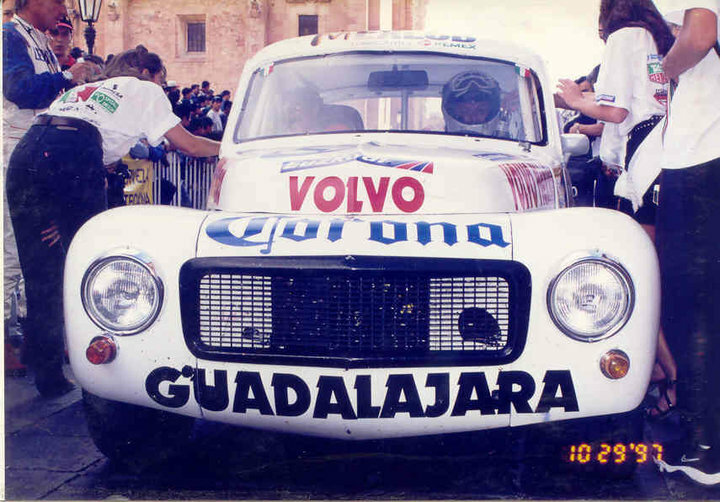 Although his injuries made an F1 return impossible, Regazzoni raced with some success in rallies like the Dakar Rally and the 12 Hours of Sebring. These achievements paved the way for the wider acceptance of disabled persons in motoring and motorsports. 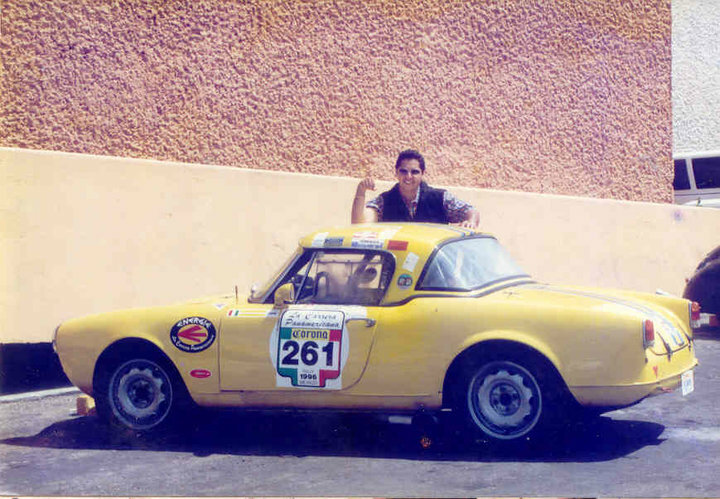 In 1994, he returned to the Long Beach Grand Prix (at that point an IndyCar race) to compete as a Pro in the Toyota Pro/Celebrity Race. Not only was Clay Regazzoni known for his driving ability but he was equally known a a tough guy and one who was well known for escaping wrecks that many others would never have survived. After reading about many of his crashes it's impossible to believe he survived most of them. 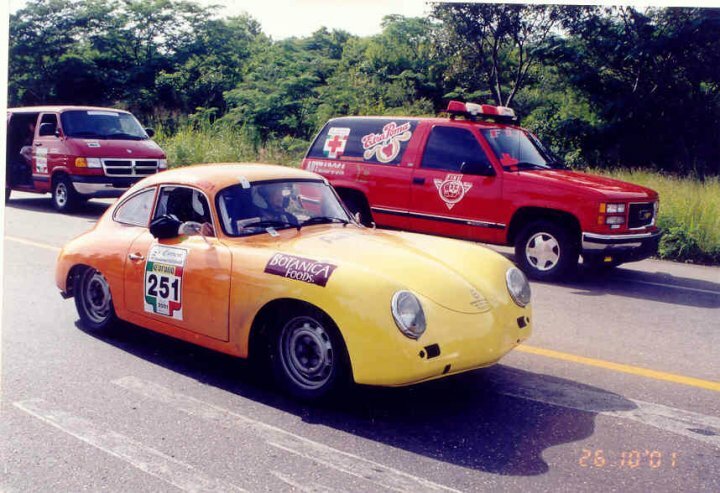 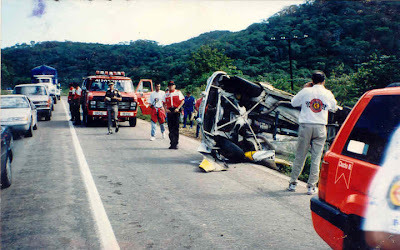 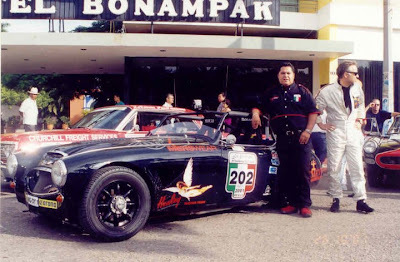 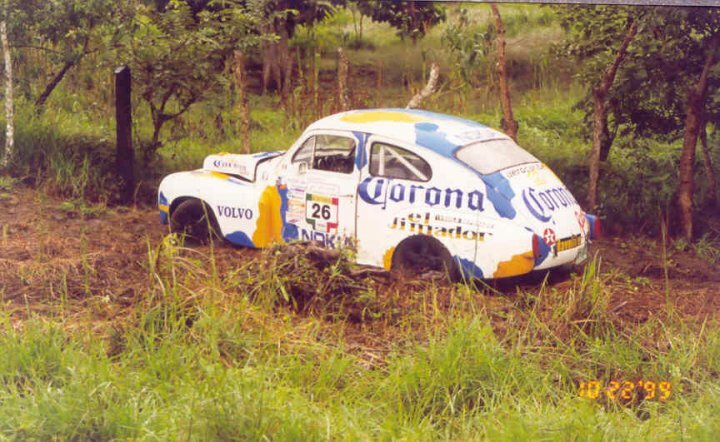 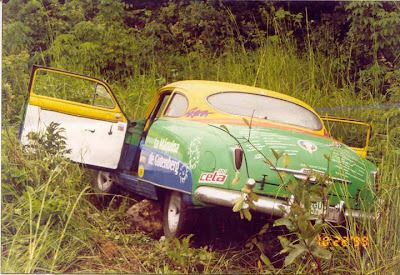 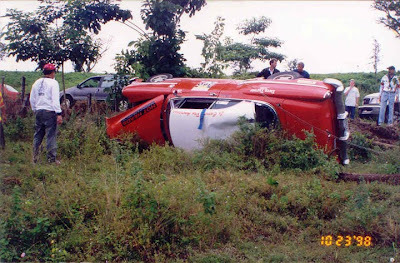 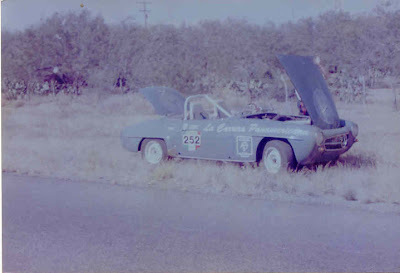 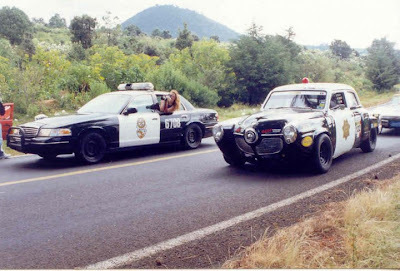 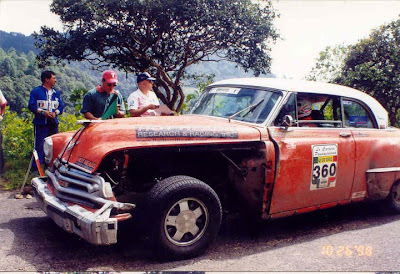 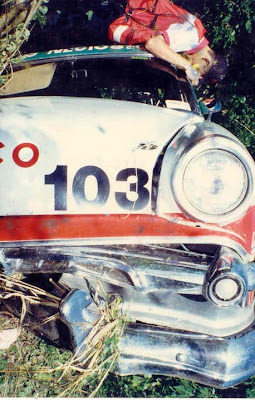 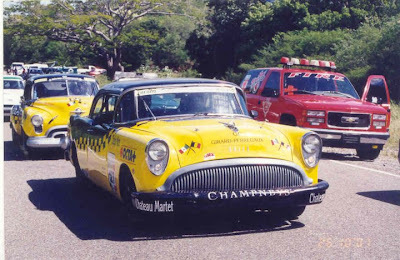 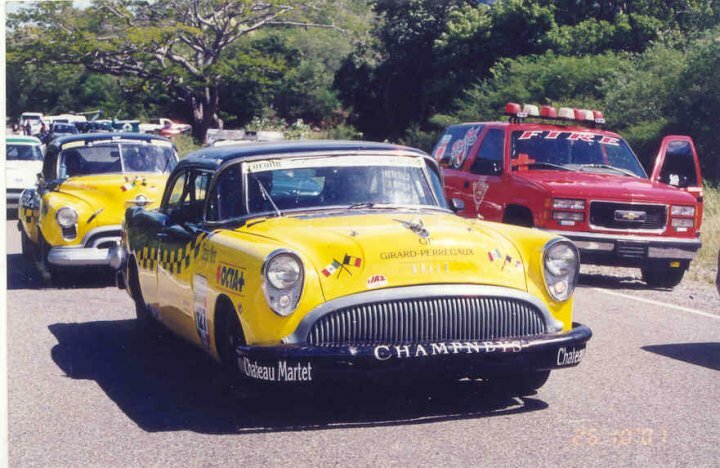 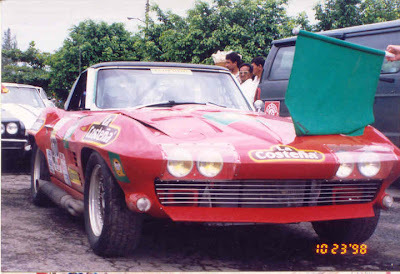 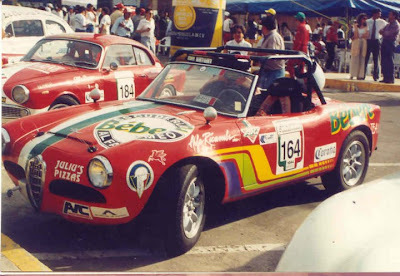 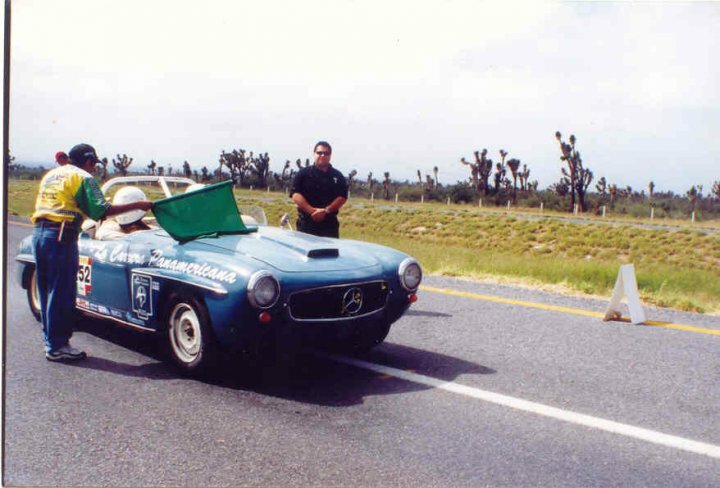 With regards to La Carrera Panamericana he raced several LCP crashed 3 times. This photo shows the hand controls he helped design and which are used today in many automotive applications both street and racing. 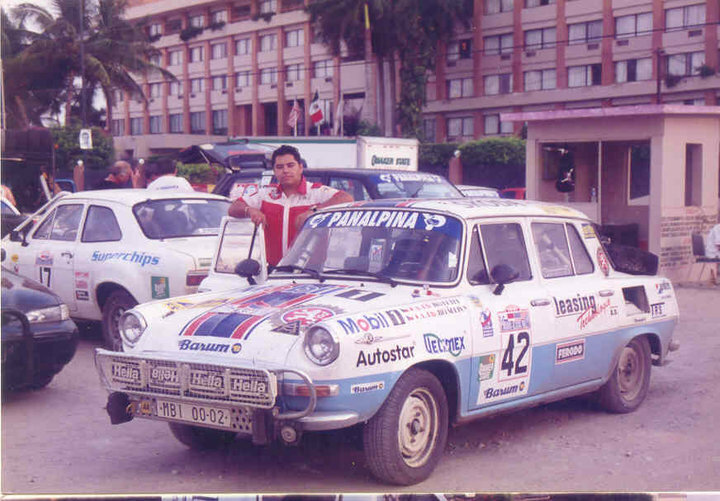 Thank you Fabricio de la Cajiga for these 4 photos. 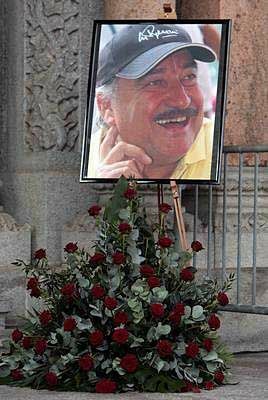 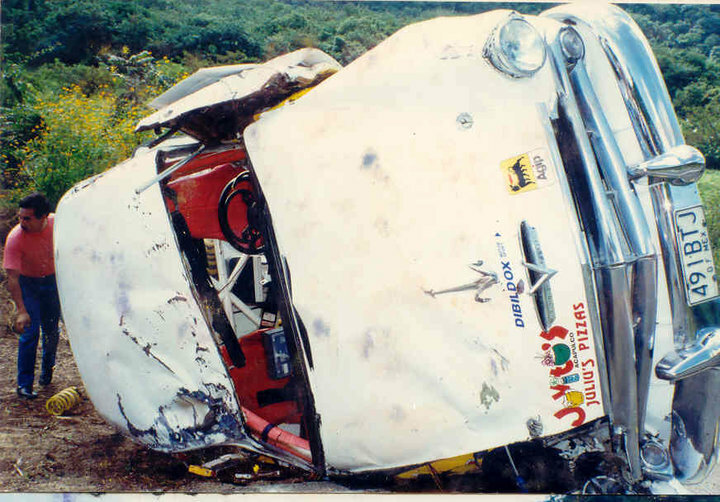 Sadley, on December 15, 2006, Regazzoni was killed when the Chrysler Voyager he was driving hit the rear of a lorry on the Italian A1 motorway, near Parma. 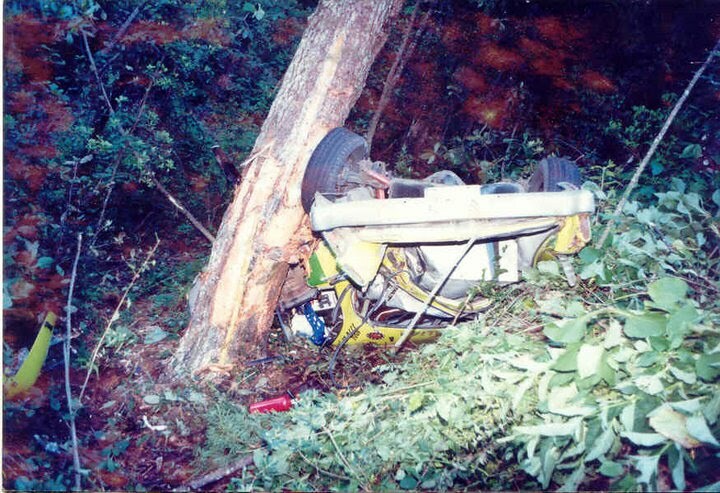 Crash investigators estimate that he was travelling at approximately 62 mph. 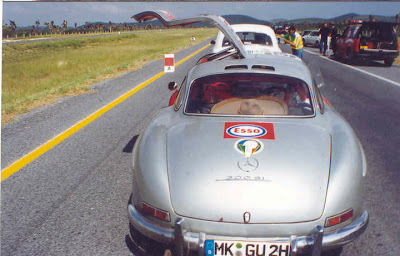 His funeral was held on 23 December and was attended by Jackie Stewart, Emerson Fittipaldi and Niki Lauda, among many luminaries from the Formula One world. 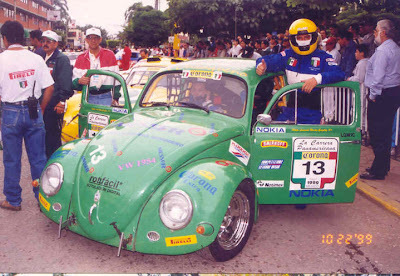 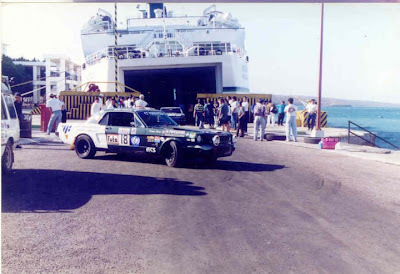 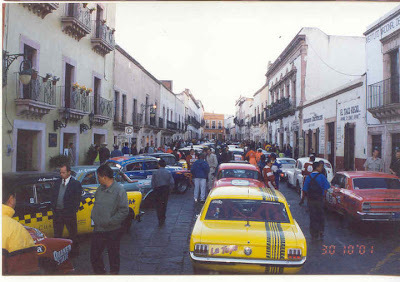 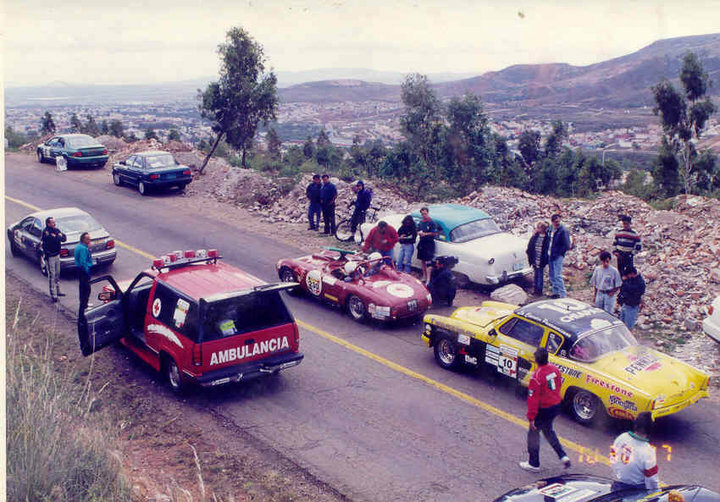 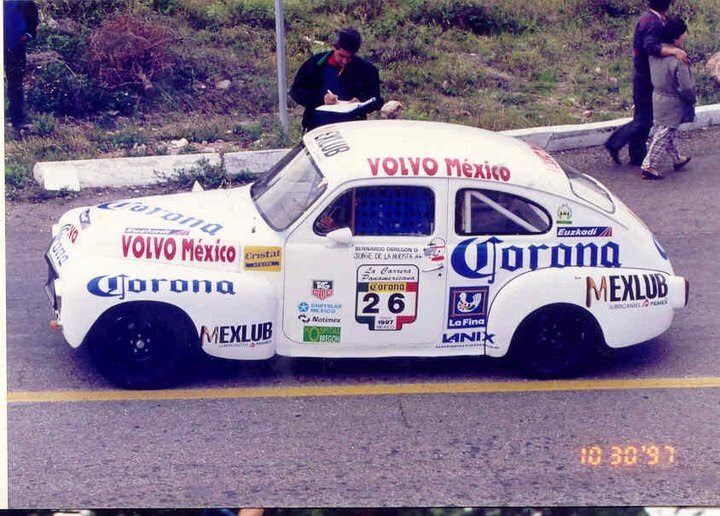 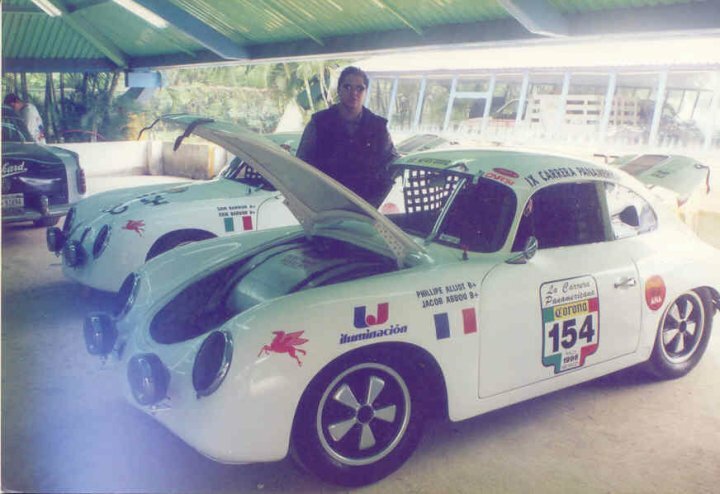 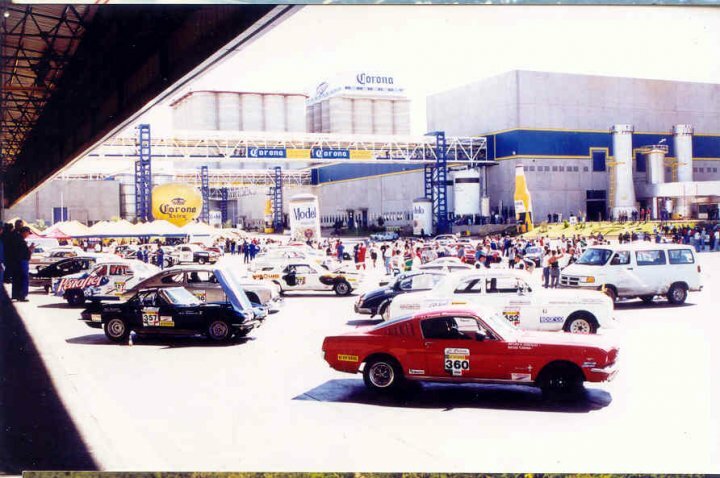 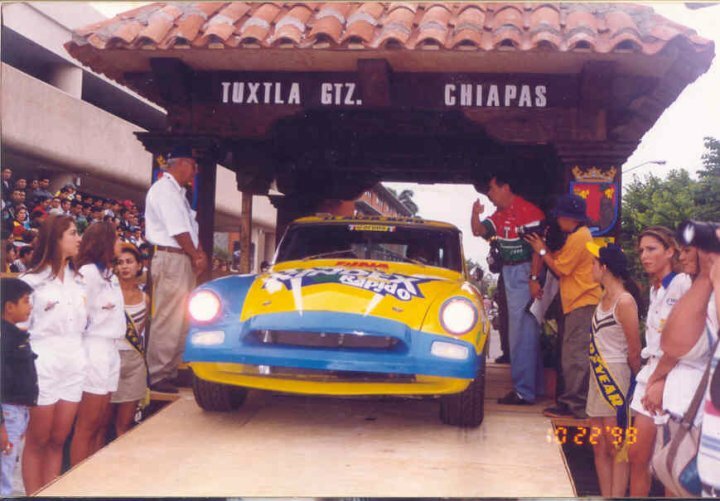 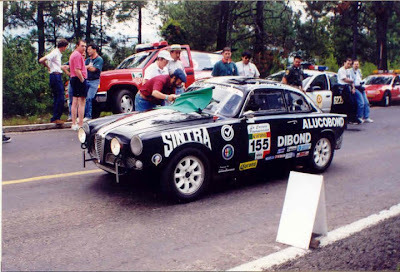 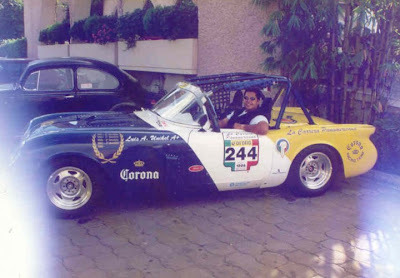 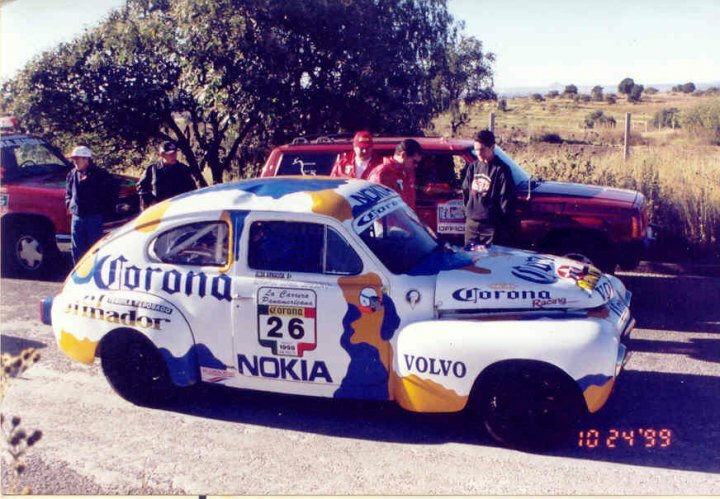 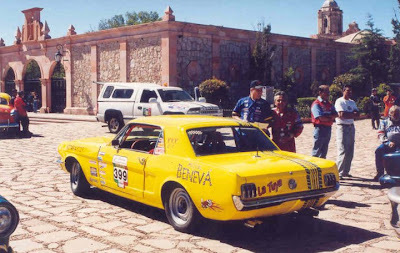 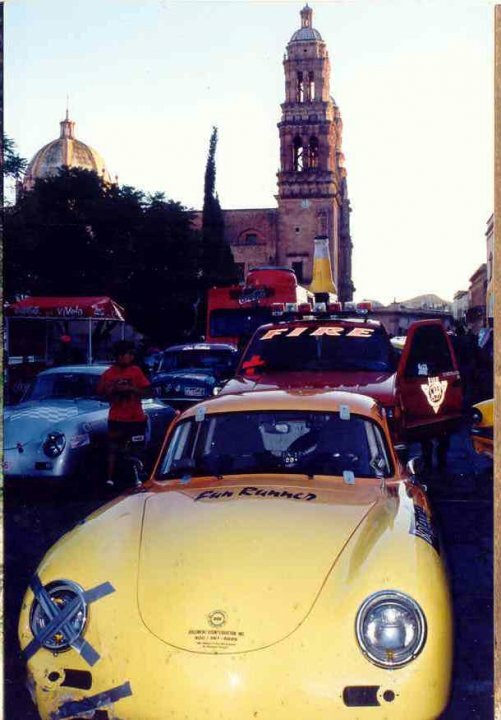 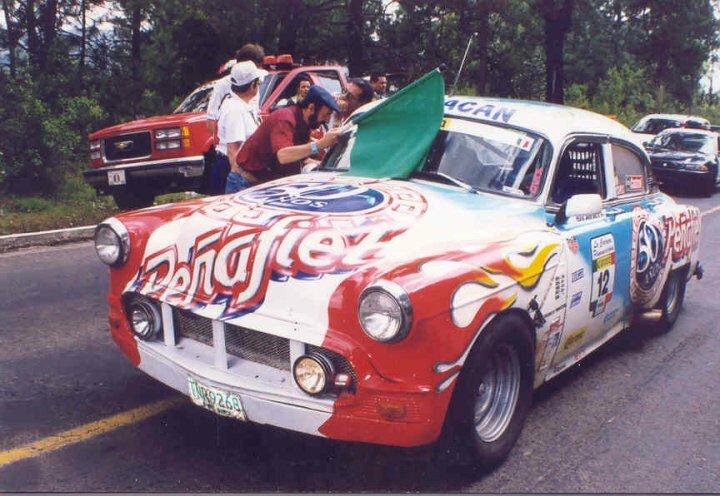 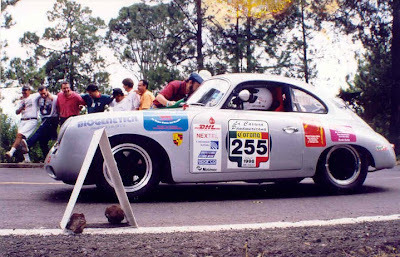 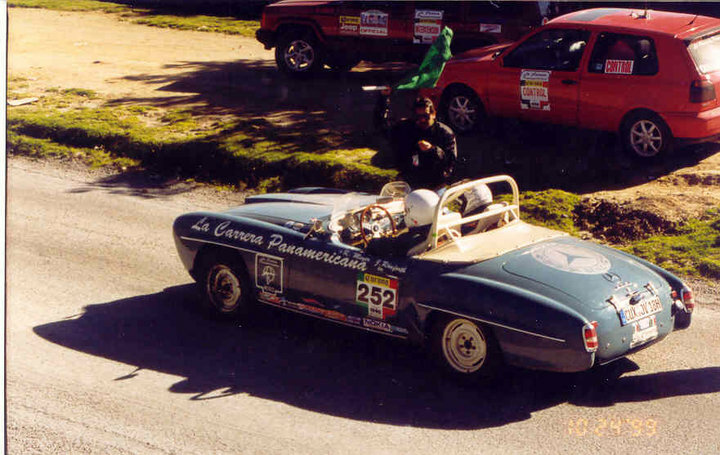 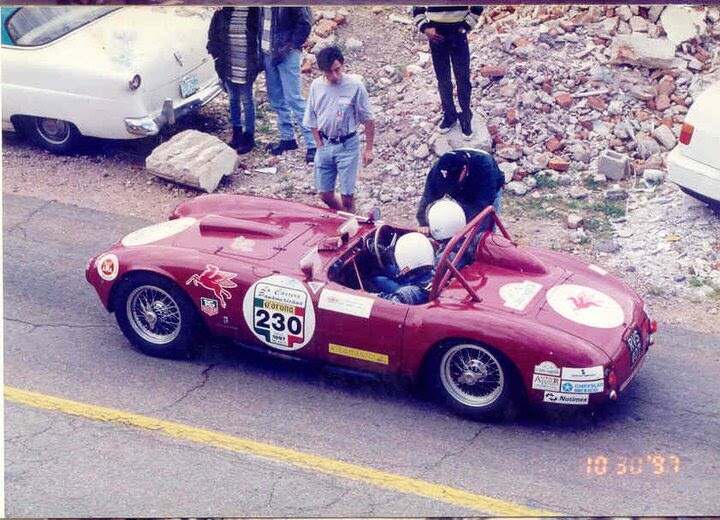 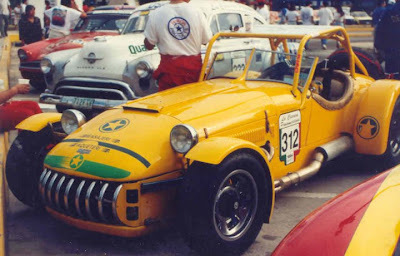 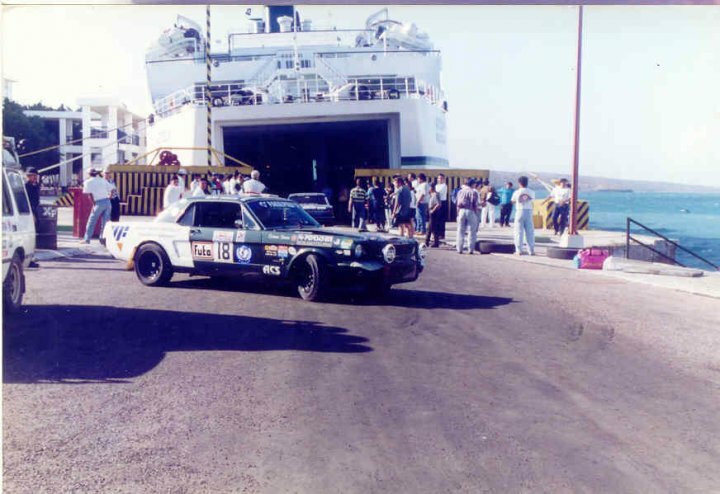 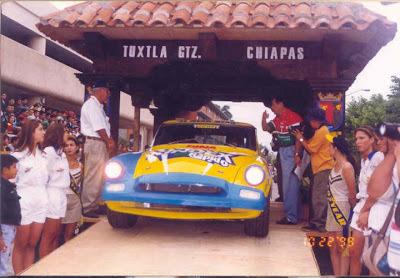 Fabricio de la Cajiga who lives in Oaxaca de Juárez, Mexico has participated in some of the La Carrera Panamericana races since 1988 and has graciously offered to let us enjoy some of his LCP photos taken over several years. 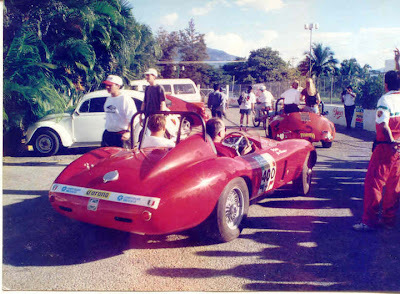 You will see lots of beautiful and interesting cars not to mention several Gullwings, Ferrari's, Vettes and much more. If you don't like seeing race cars some of which are turned into nothing more that pretzels or Ferraris crashed into trees DO NOT look here. 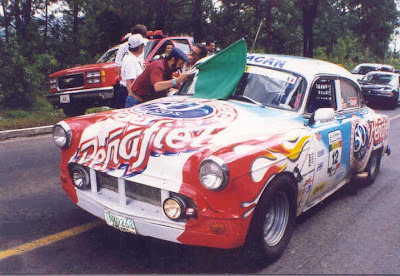 Gracias Fabrico!